A Dutch start-up called Blendle is taking global the equivalent of “a penny for your thoughts” by pioneering a Spotify-style market for copyright journalism. To begin to touch a world of seven billion people, Blendle just raised $3.8 million in a first round venture capital deal from the New York Times Company and dominant European publisher Axel Springer, through their Digital Ventures subsidiary, according to TechCrunch. Blendle intends to expand across Europe first, to test how responsive national publishers are to uploading their proprietary journalistic content onto Blendle’s cloud. Almost every media company has tried to sell their printed word content by subscription to individuals with very limited success. The only broad exception has been the legal profession and academic institutions, where attribution use is mandatory. But Blendle intends to operate as a sort of pay-per-view revenue stream on top of their major print media partners’ digital subscription services. Major print media, including the New York Times, have tried to rationalize that the reason they are financially failing is younger people are uninterested in reading. Yet millennials are constantly texting rather than making phone calls. Major print media has likely withered in the digital age because people want greater choice than the rigid fixed aggregations that newspapers and magazines have offered. Blendle says its mission is to make writing about news and opinion online a sustainable business. It believes that digital advertising revenues have not been a “like-for-like replacement” for major print media. Blendle launched two years ago in the Netherlands, where many publishers were not putting content online in fear that it would cannibalize their print offerings. Because of this conflict, Blendle believes that publishers only offered subscription models online in an effort to perpetuate the way they had done business for decades. Blendle launched in the service in April of this year with 130,000 registered users. Individual articles by major print media are currently offered individually for $.13 to $.40 for news reports and up to about $1.00 for lengthy magazine stories. Blendle gives 70% of the revenue to the publishers, and pockets 30%. 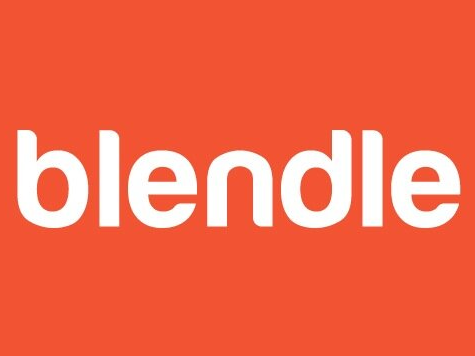 “The content that’s not available online is working very well in Blendle, especially in non-English speaking countries,” according to Klöpping. He believes that the fact that quality European journalism is still not available for free online gives Blendle an advantage as the first mover to be able to market individual articles. Most of Blendle’s customers have been very young. Blendle believes that their service is the first experience these millennials have had with purchasing journalism and that their transaction model is similar to the way millennials interact with Spotify and Netflix.